An operator of indoor virtual reality theme parks is looking to make its entrance to the U.S., hiring R.J. Brunelli & Co. LLC to find locations for the concept. The Singapore-based company, Legend Heroes Park, is targeting vacant anchor and sub-anchor spaces at regional malls, the Old Bridge-based retail brokerage said in a news release Tuesday. The operator also views freestanding or strip center big-boxes as primary targets for the business — which combines cutting-edge virtual and augmented reality technologies with the physical world for an immersive experience — along with warehouse and flex buildings in close proximity to major malls or entertainment complexes. 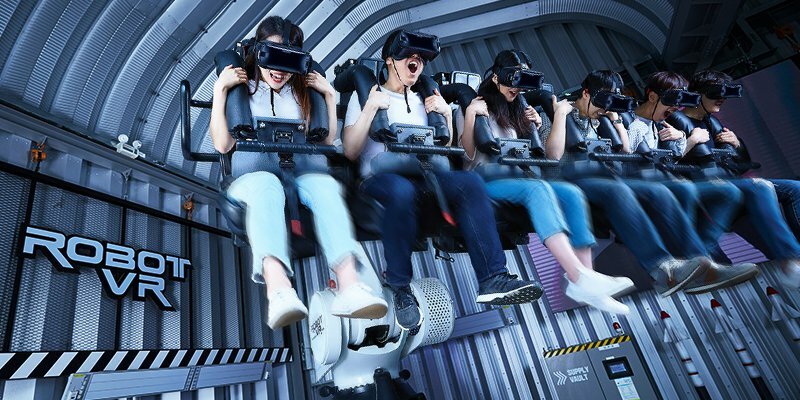 The facilities will offer a range of rides, games, sports, entertainment and other attractions while employing virtual and augmented reality, holograms, motion tracking and other technologies. Fox said the park’s modularized concept can be adapted to a wide range of building sizes, with the space divided into a series of zones targeting different interests. The uses range from a so-called Junior Zone that allows young children to discover, learn and explore through virtual and physical spaces, to a Sports Zone where patrons of all ages can learn, practice and hone their skills in football, baseball, archery, clay pigeon shooting and other sports. The concept also features an Arcade Zone with immersive and interactive arcade games, the news release said. Building requirements call for 30,000- to 40,000-square-foot spaces with a minimum ceiling height of 16 feet overall, with 40 percent of the space at least 32 feet high for rides. Legend Heroes Park opened the first phase of an initial location earlier this month in Studio City in Macau, the news release said. A second phase is scheduled to open in late spring, bringing its total footprint to 64,000 square feet. In the U.S., the company is seeking big-box locations in major metropolitan markets. Its preferred locations have 5 million people within 30 miles, with a one-hour maximum driving distance.